Keeping your home up to date can seem like a challenge. There are any number of items that may require your attention. That carpet may have seen better days. And those countertops may not be up to your standards any longer. And that’s just the beginning. We have all been there. When assessing the look of your home, don’t forget that windows can make a huge difference. If you or someone you know is looking for replacement windows in or near Chandler, AZ, rest assured that there are a wide range of options that can fundamentally change the look and feel of your home. Those options can be made from wood, vinyl, fiberglass, aluminum, or wood that has been clad in either vinyl or aluminum. The other thing to remember is that those windows come in a variety of styles, everything from traditional single-hung windows to beautiful bay windows. Do you have a beautiful yard or pool that you want playing a more prominent visual role in your home? Perhaps you should consider large picture windows that will frame those views perfectly. The point is that there are a range of solutions, each with their unique advantages. You may be in the market for something like that, particularly if your current windows are past their prime. That can happen very easily, and it can happen without you having realized it right away. If those current windows were installed decades ago, there’s a good chance that they no longer look so current. Trends can come and go, but some styles tend to endure a bit better than others. You may wish to speak with a designer given the importance of this kind of investment. Designers can point you in the right direction and assure that your new windows remain in style for as long as possible. That’s important. You don’t want to think about this again in five or ten years. Your windows should last you a long time and be a mainstay in your home. Designers can also tell you with some confidence that your current windows are officially outdated. In the meantime, you can of course take a look around and get a sense of whether those windows have outlasted their welcome. You will often notice that the shape of the windows seems to have come straight from another era. For example, they may have arches that scream the 1980s or 1990s. That’s why you should take the possibility of new styles very seriously. There’s certainly nothing wrong with custom windows, but you shouldn’t have to worry about them looking dated. When your windows look dated, your home looks dated. They’re just as important as your flooring or kitchen in that respect. If you are interested in replacement windows in the Chandler, AZ, area, consider reaching out to Cougar Windows & Doors. 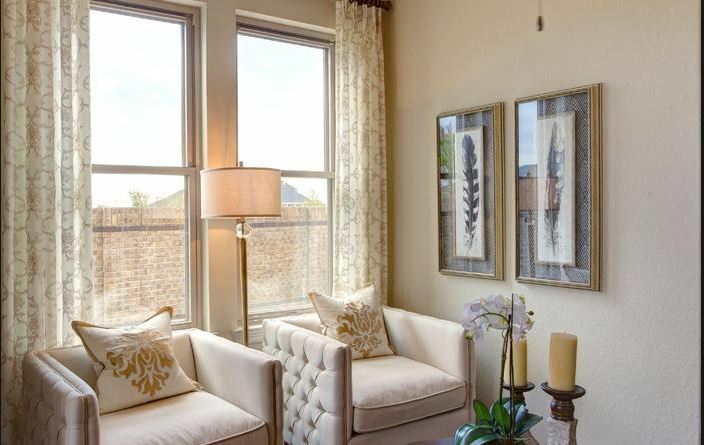 We are committed to assuring that you and your family enjoy the right look when it comes to your home’s windows. You can visit us at 3820 E Main St Ste 5, Mesa, AZ 85205 or place a phone call to (480) 699-9066. Are You Tired of Worrying About Your Home’s Windows? Is Your Family Making the Most of Your Home’s Windows? Can New Windows Create a More Open Concept? © 2019 Cougar Windows & Doors. All rights reserved.